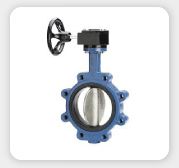 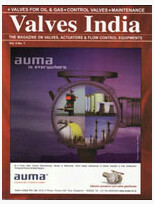 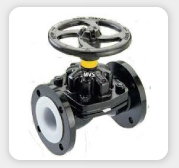 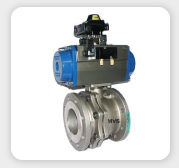 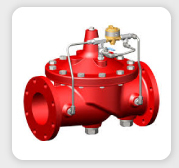 Welcome To Valves India …! 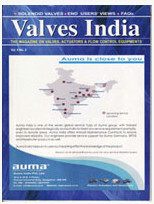 Valves India is India's only exclusive quarterly magazine on valve industry with latest information on valve, actuator & flow control industry, now in 13th year of publication. 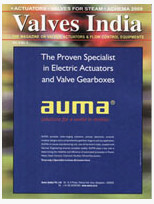 A well researched magazine for the end users, specifies, buyers, and distributors of valves, actuators and other flow-control industry products and services.The editorial content strongly focuses to educate and provide the most current, up-to-date information on the selection, application and maintenance of industrial valves, actuators, and related products. 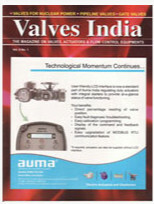 Read More..
Flowserve I Controls P. Ltd.